To catch up with Part I, read here. 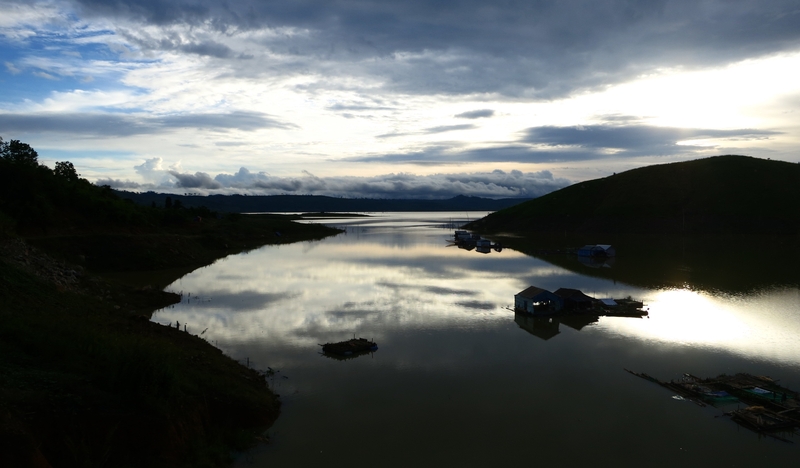 After watching the sun set on the first day, we arrived at our homestay in the Dak Lak region, home to the M’Nong people. 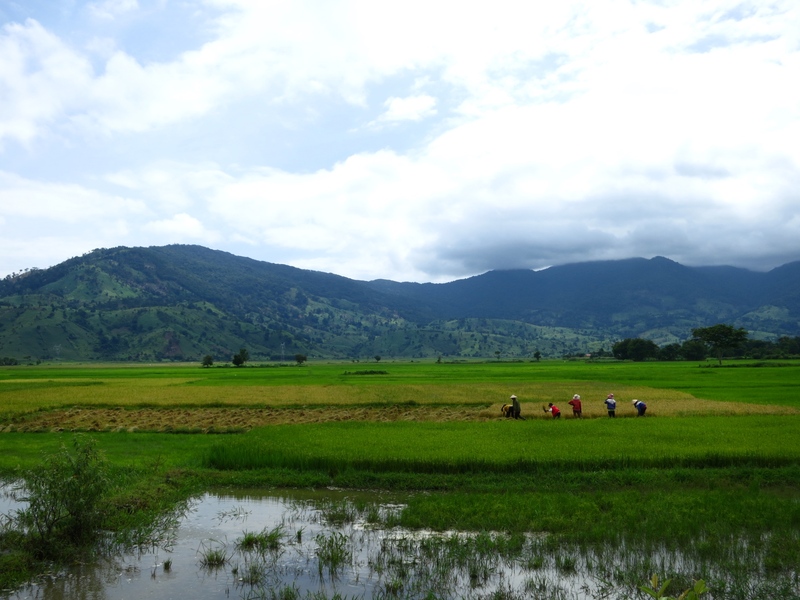 The vast region was our base for the following two days and an introduction to the local way of life. 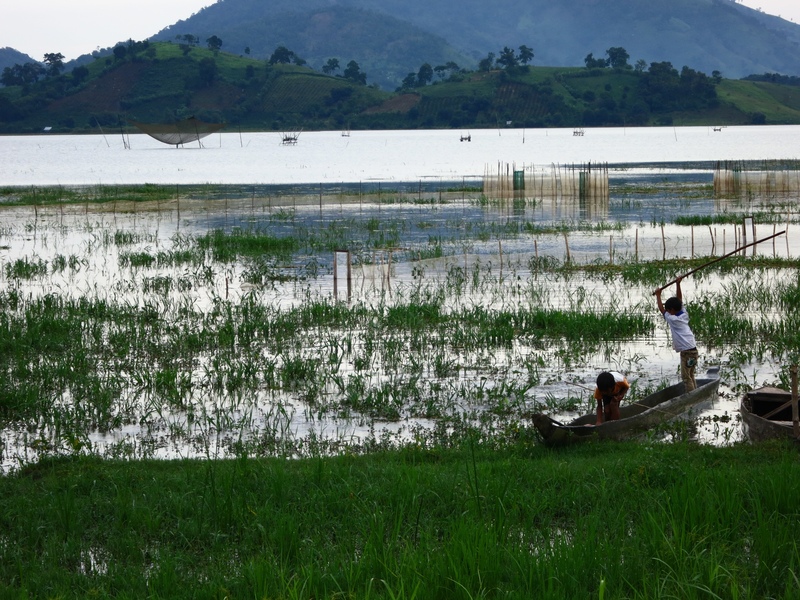 A mix of fisherman living on the water and farmers who maintained the village’s rice paddies occupied these highlands. In addition to rice, there were a wide variety of farms ranging from fresh exotic fruits to rubber trees to surprising livestock. 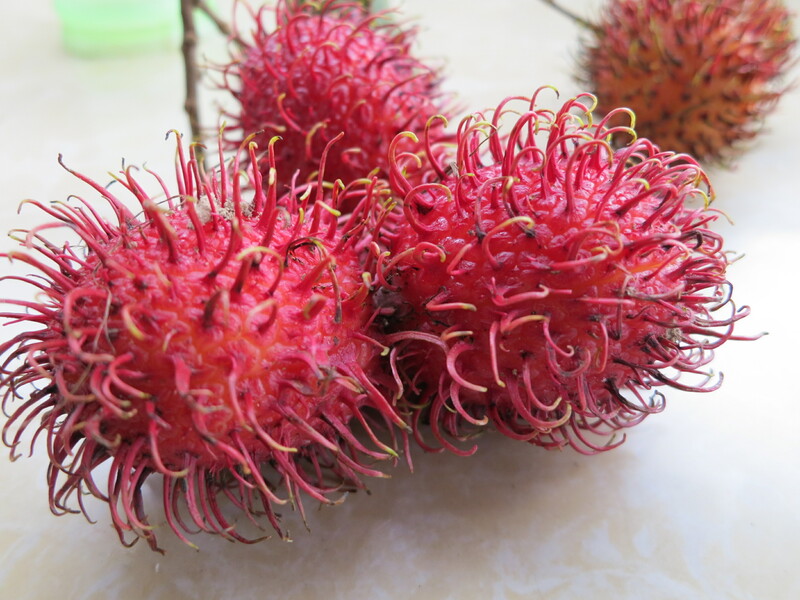 Freshly cut off the tree – Rambutans, a tasty alternative to lychees. 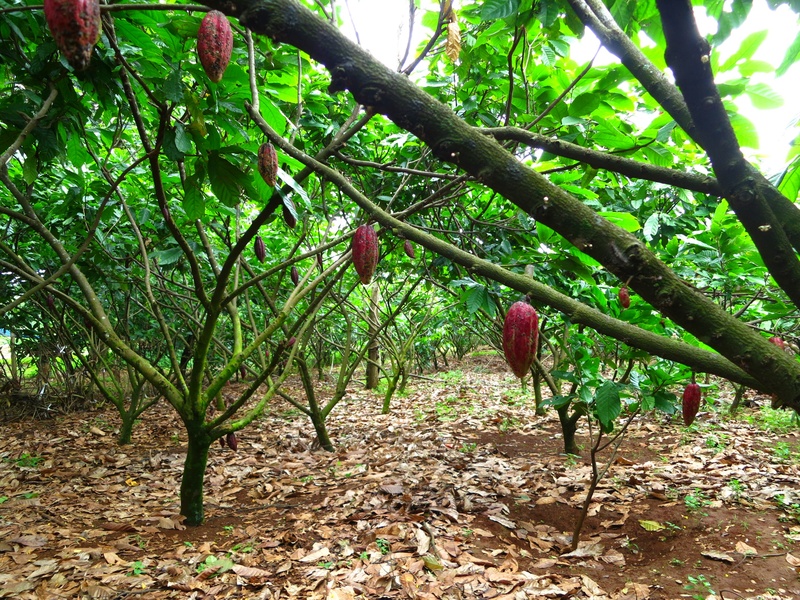 Rows of cacao (chocolate) trees. 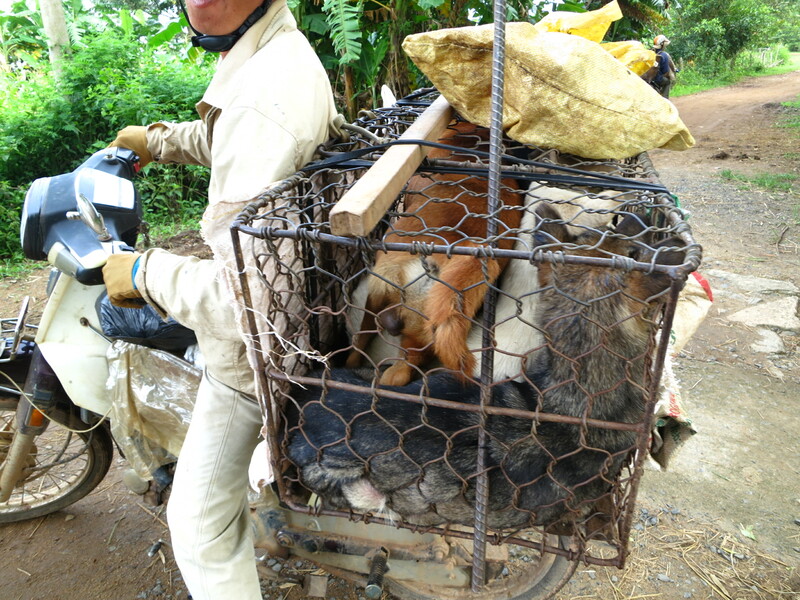 Dogs, caged on a bike, were being transported. 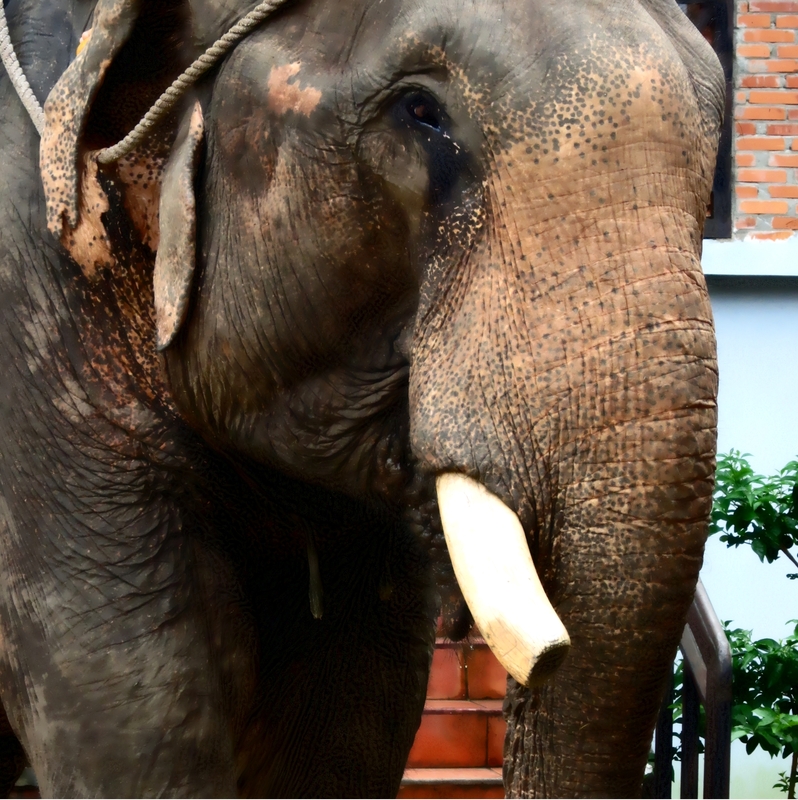 A domesticated yet mellow elephant just before it was giving rides to tourists around the lake. 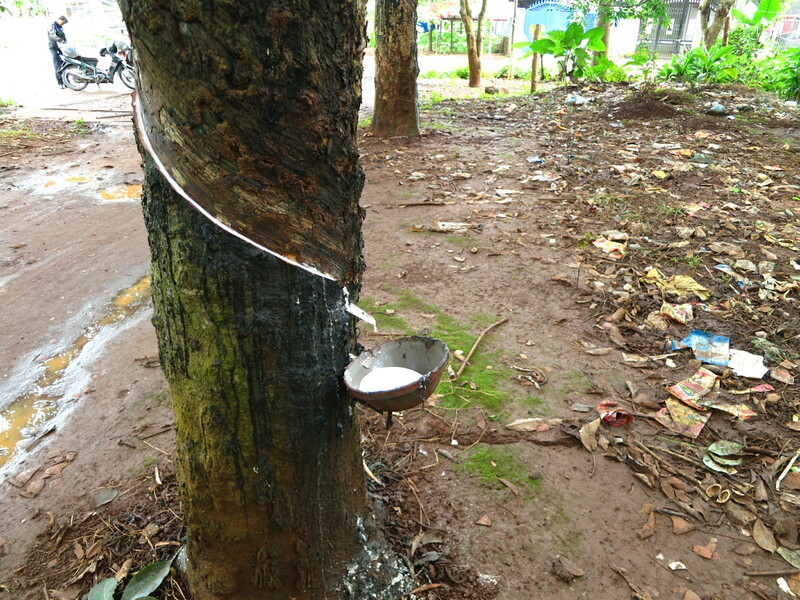 Rubber sap was being collected from a tree in the early morning. 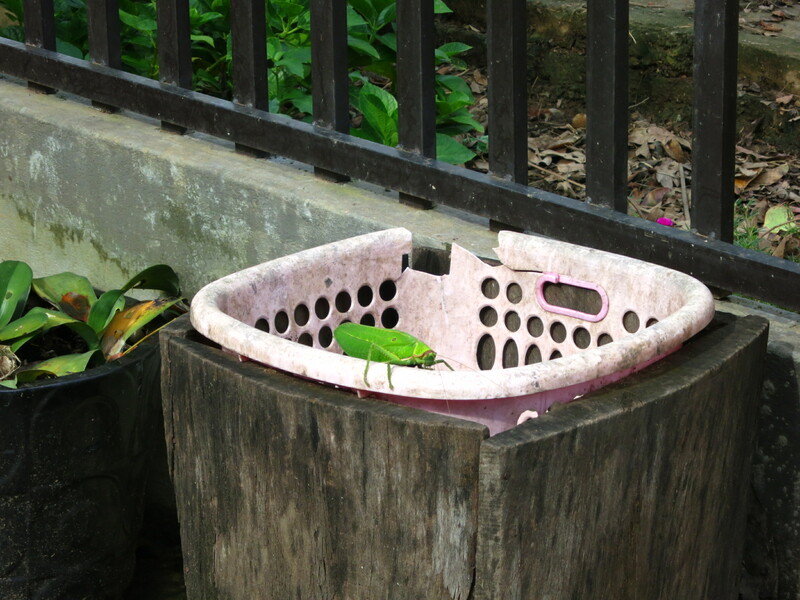 Even the local insects grew larger than life after feeding on the rich vegetation. 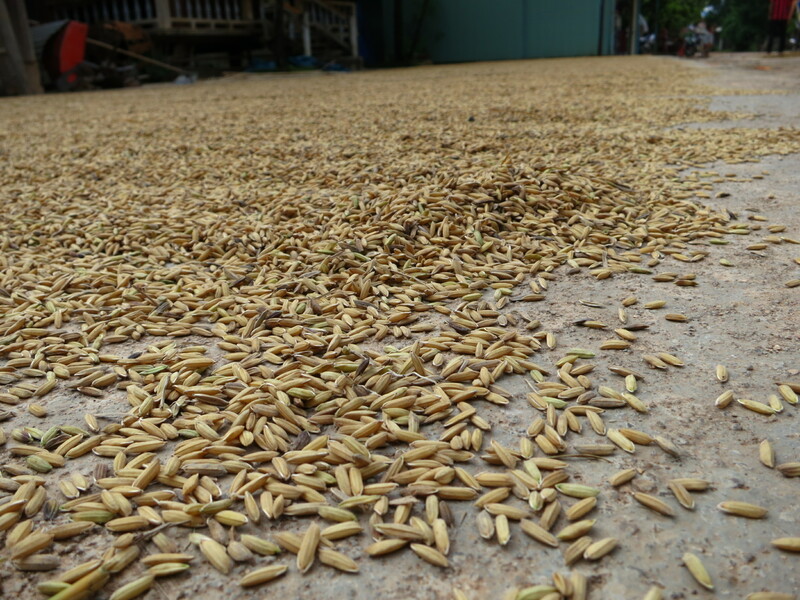 Rice, the main crop of the region, was recently harvested and combed on the street side. We also had the chance to visit a small distillery making Rượu cần (rice wine). 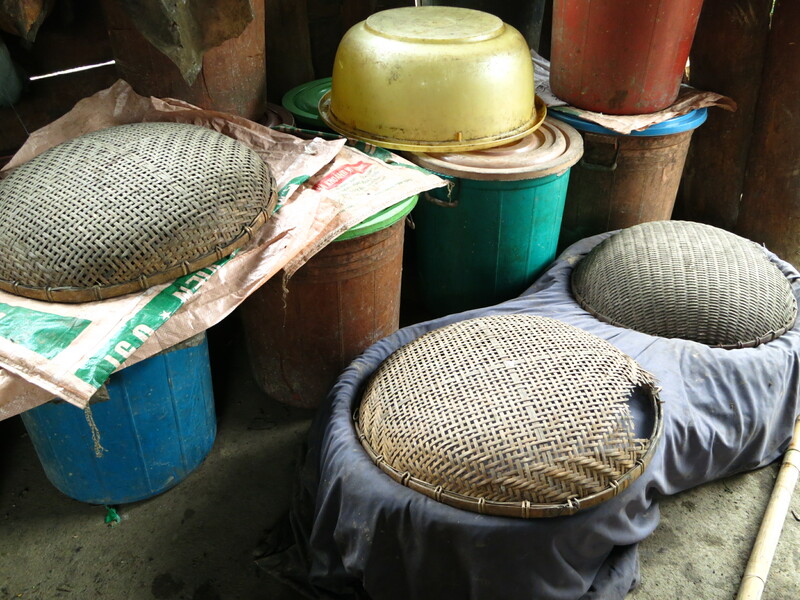 The buckets above contained glutinous rice being fermented. 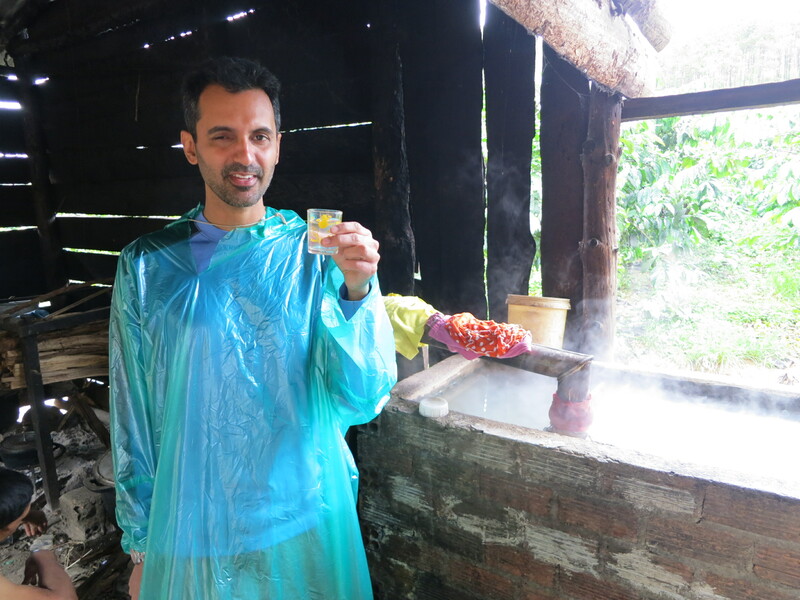 Ankur was enjoying his first sip (or bite) of the local shine. After enjoying a few sips myself, we walked out and noticed some kids who came out of the house at the entrance of the distillery. They all came over to our bikes and greeted us with smiles. They seemed healthy and sheltered, but one question came up in my head as I realized it was Wednesday mid-morning: Were they not going to school? After getting acquainted more with the local people, the stark reality of child labor came to light. The general line between poverty and farming life was quite blurry among the people of the Dak Lak region. Even though conditions were meager, everyone seemed to earn a living through hard work, had shelter, and lived in content. The definitive line existed between the ideal environment for children and the reality of the conditions they were being raised in. Education was reserved for the rich and a life of farming/labor was practically an imposed inheritance of the children born into the poor. 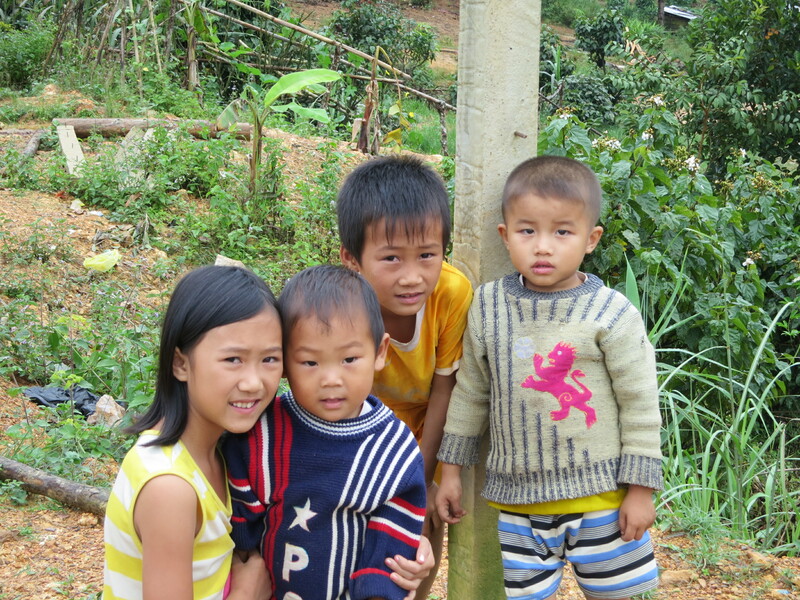 Worldwide, 60% of child labor occurs in agriculture and in Vietnam, 30% of children between 6 and 17 join the labor force. With such high numbers, how do you define what is or isn’t acceptable? The obvious requirement is that all children need education and any form of “work” should be secondary to that. And if they do work, it shouldn’t impede on their mental, physical, or emotional well-being, especially since children are more vulnerable. But, in a world where child labor occurs even in first-world countries, another question arises: how can social/cultural norms be altered? 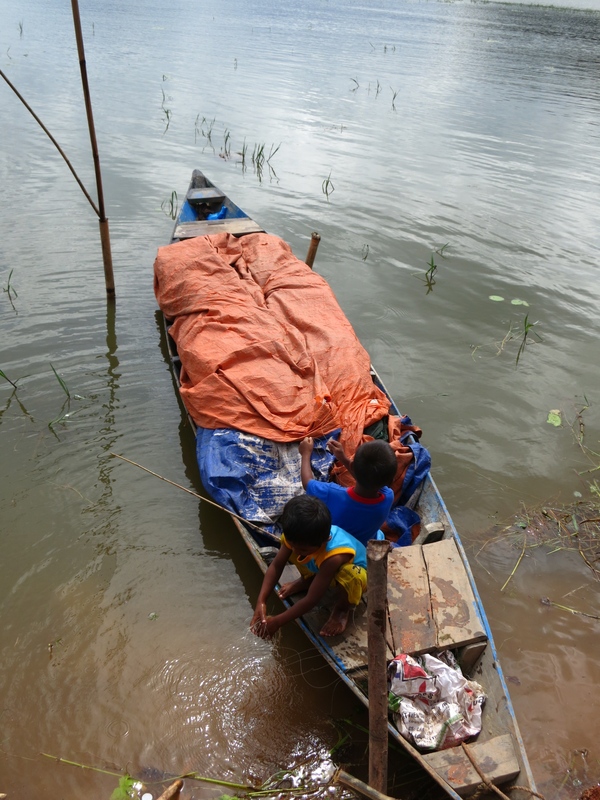 Above, a few workers were harvesting rice from the paddies, among which was at least one boy. Overall, the motorbike journey was an important experience as it brought me closer to people who were before alien to me. And as Jose Rivera once said, “every generation needs a story about what it is to be transformed by geography.” I just hope it makes a lasting impression on me. This entry was posted in Asia and tagged child labor, featured, highland, motorcycle, storm, Vietnam. Bookmark the permalink.